If you have been in an accident while driving a company vehicle or with someone who does, the process of determining liability can be confusing and off-putting. The Chicago car accident attorneys of Rosenfeld Injury Lawyers LLC have many years of experience handling complex issues such as these and can defend your interests following a car accident, whether you were driving as an employee or hit by a negligent commercial driver. Regardless of who you may feel is at fault in an accident, you should refuse to admit fault. However, you should file a police report and collect contact information from witnesses because we can use this information to recover the compensation you are entitled to. The doctrine of vicarious liability states that employers are responsible for self-managing their employees and therefore responsible for any of their actions. An action performed on behalf of a company is interpreted as if the company itself performed it. This makes it possible for someone involved in an accident with a commercial driver to seek compensation from their employer and may protect the driver by requiring the company to pay damages on their behalf. There are ways that employers can get around vicarious liability and direct the fault back onto their employees. The primary method is to claim that the employee was not in the process of performing their duties at the time of the accident and therefore representing only him or herself. An example would be if an employee deviated from their route to grab a bite to eat rather than making their regular pickup or delivery. The employer can claim that the employee was not on duty and therefore is solely responsible for the crash. If employer negligence cannot be proven, the employer may still be held liable for an accident. Whether the driver shares liability can depend on his or her own actions and whether they willfully violated the law. Examples include the failure of employers to maintain their vehicles and the failure of employees to inspect their vehicles prior to use to ensure that they are in safe operating condition. 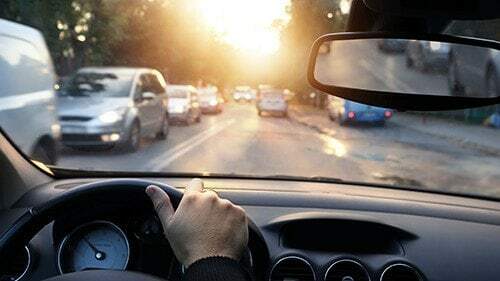 Some employers may actively encourage drivers to falsify work laws so that they can work longer and more often, and both the workers and companies can be held liable following an accident. Employer negligence might also be proven if the company didn’t properly screen or train its employees. Commercial truck drivers need to maintain a valid drivers’ licenses and companies should think carefully about hiring drivers with multiple infractions on their driving record. There are often repercussions to safety violations against an employee's driver's license as a way to deter unsafe and reckless behavior. An employer's failure to discipline their negligent drivers can fall back onto the company when one of the employees causes an accident. At-will employment means that both the employee and his or her employer work together so long as both parties are still willing. The relationship can be ended by either party at any time. This is important to remember as a commercial driver, because while your employer can never force you to pay for the damages caused in an accident, you may be dismissed from your job if you caused an accident and refused to assume liability. Therefore, winning the legal battle may sometimes result in negative longstanding consequences. You should always communicate with an employer following an accident as a result in order to understand what your company expects from you, regardless of who was at fault for the accident. Whether the argument that the company or its driver was responsible for an accident prevails, neither party will ever actually pay out of pocket for the crash-related damages. It will ultimately be an insurance company cutting the check. Because of that, claims adjusters can be very cunning and ruthless when it comes to finding ways out of paying the bill. You can expect that insurance carrier will provide legal representation for their policyholder and make attempts to lure you, the victim, into a settlement that is not in your interest or into using evidence and your own words to undermine your case. Whether you are a company driver or someone that has been in an accident with a commercial vehicle, it is important to collect as much information as you can from the scene of the accident, including contact information from key witnesses. The next step should be to retain the services of a qualified Chicago car accident lawyer who has extensive experience dealing with insurance companies and complex arguments over liability. Your attorney will be able to advise you on how best to address insurance companies and the parties at fault for your accident and can do so on your behalf if you would prefer. Rosenfeld Injury Lawyers LLC is an award-winning personal injury law firm that has helped countless clients recover the compensation they were entitled to receive following an accident caused by negligent individuals and companies. Our car accident law team specializes in automotive injury cases. We have extensive experience, knowledge and a track record of success. We are not only able to maximize the value of your case, but we have experience working with insurance companies and keeping clients from falling into the traps that claim adjusters set. Contact us today to arrange a risk-free consultation with one of our highly qualified Chicago car accident attorneys so that we can gather all of the information we need to get to work on your case quickly. You can be certain that the defense has already begun building a case against you, which is why it is so important to get started now. Our lawyers will travel to meet you at your location or be happy to talk with you at any of our offices throughout the Chicago area. Our attorneys will answer any questions that you have about your legal rights and options. If we are unable to secure compensation on your behalf, our services will be free of charge.